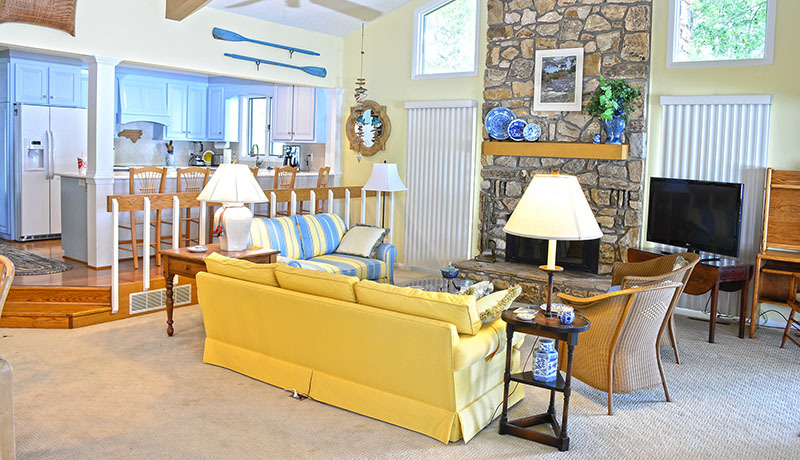 Carolina Cottage is a bright, open home located on a large peninsula lot with spectacular channel views. 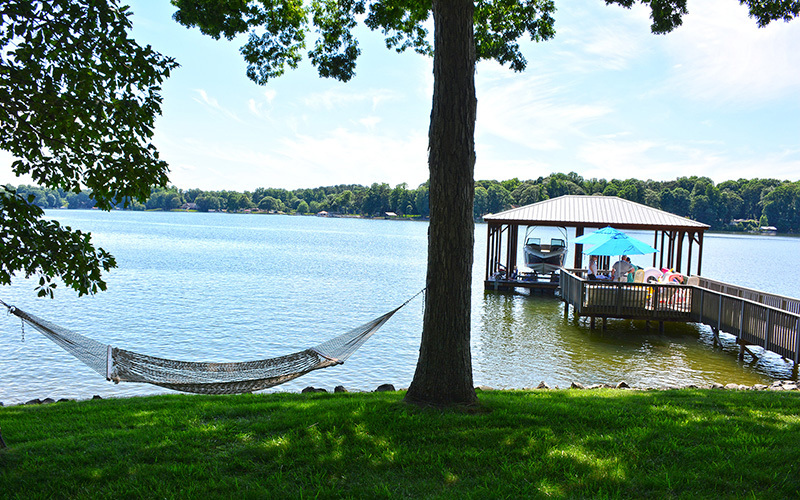 At Carolina Cottage you can enjoy wonderful sunsets from the large covered porch, or relax in the hammock in the shade near the shore. 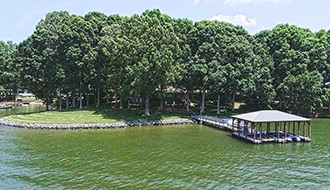 The large grass-covered peninsula lot is the perfect place for the kids to play. 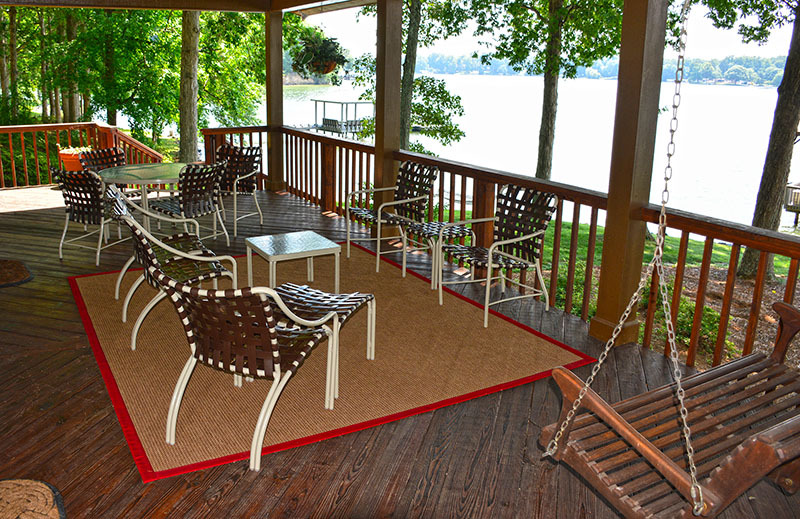 The dock seating area has plenty of chairs so you can watch the kids go by on tubes, or wakeboards. 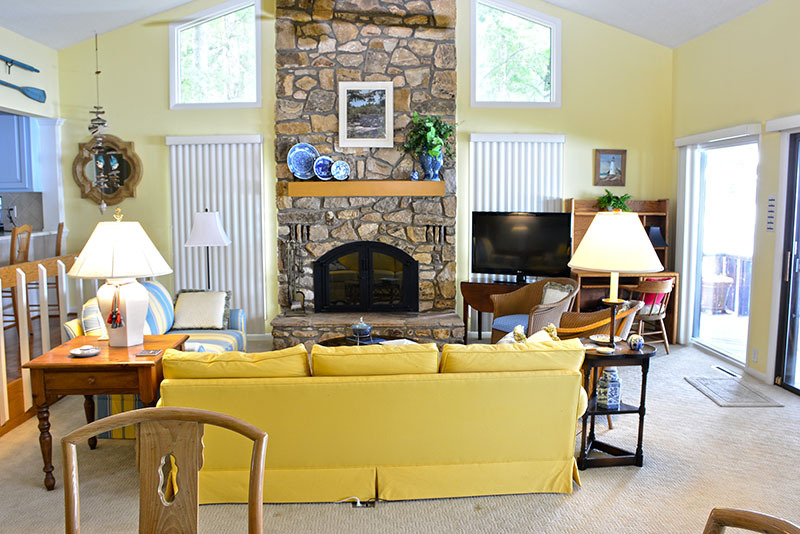 Inside you will find plenty of room and seating for the entire family in the living room. 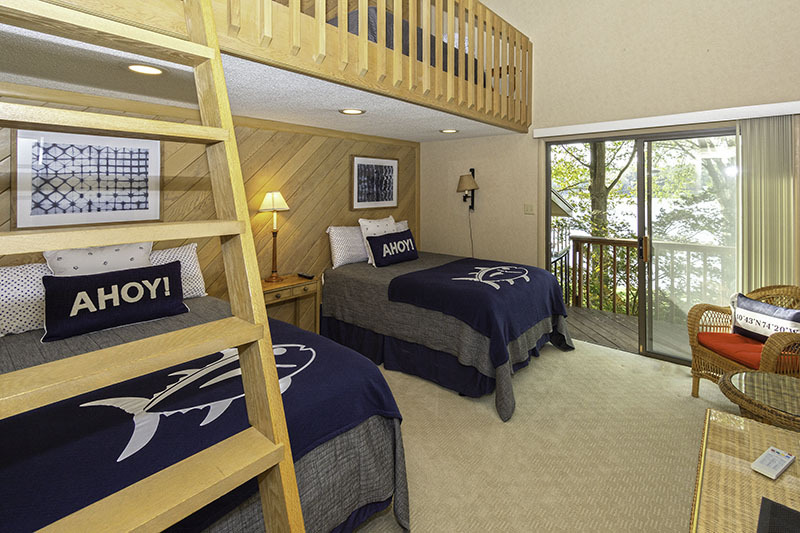 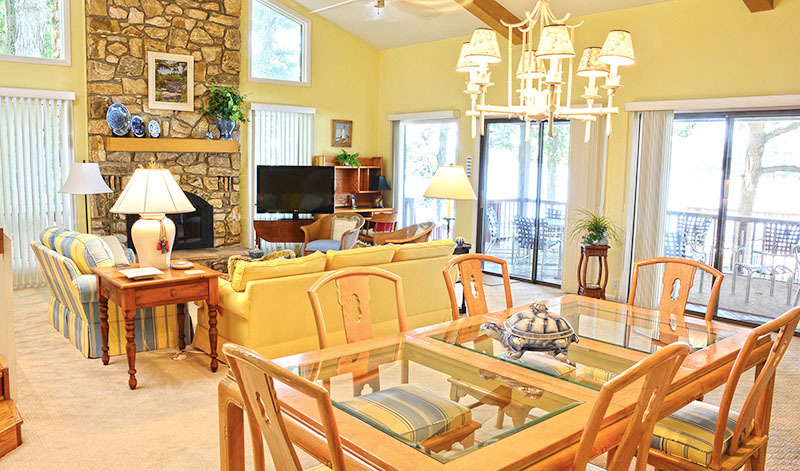 It's the perfect place to gather to watch TV, play games or gaze at the lake. 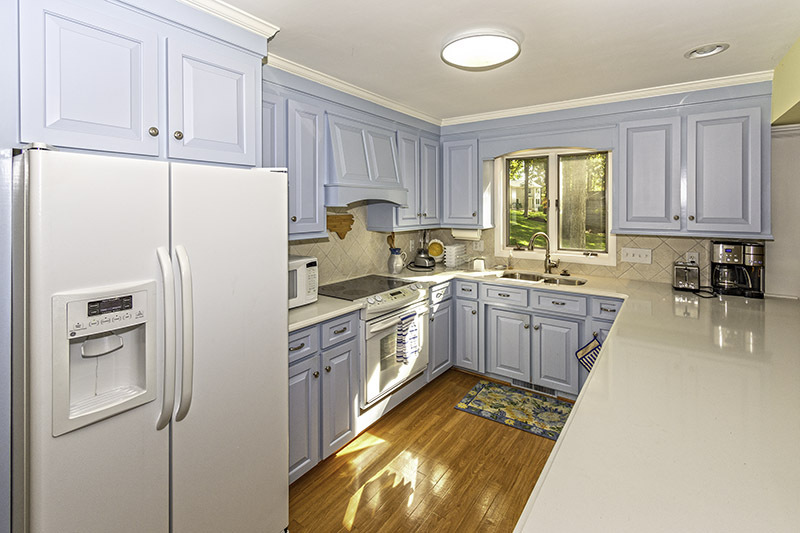 The kitchen at Carolina Cottage has everything a cook needs to create wonderful vacation meals and includes bar seating for 5. 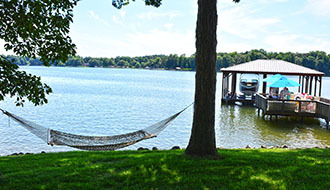 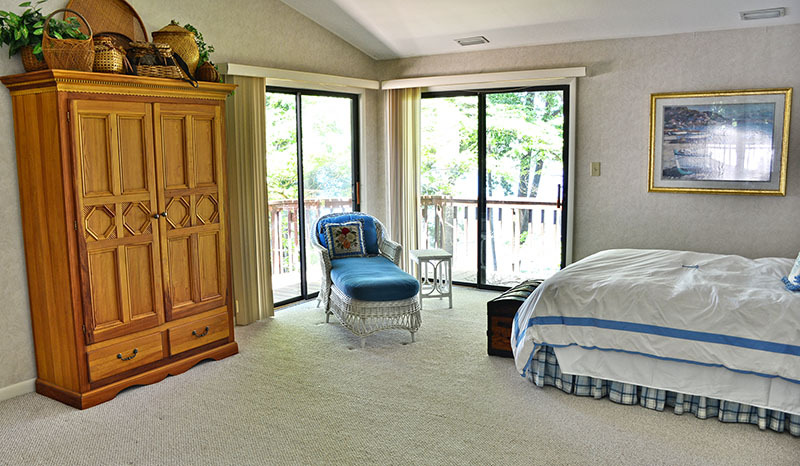 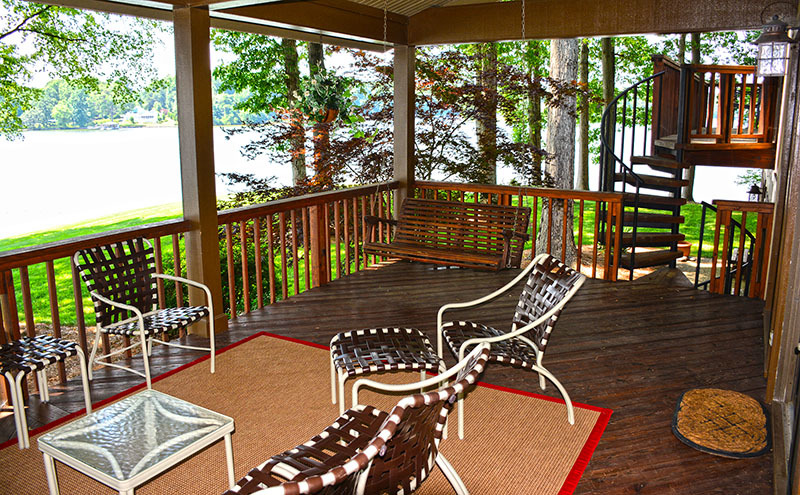 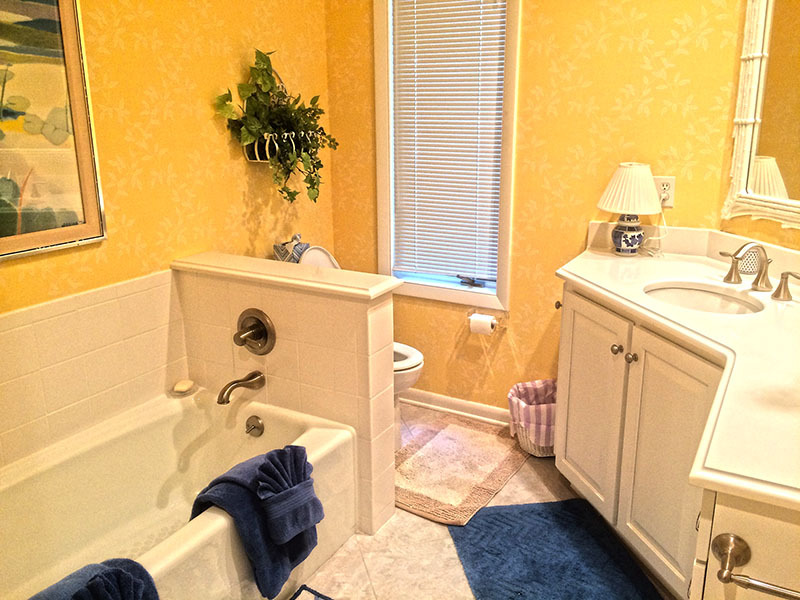 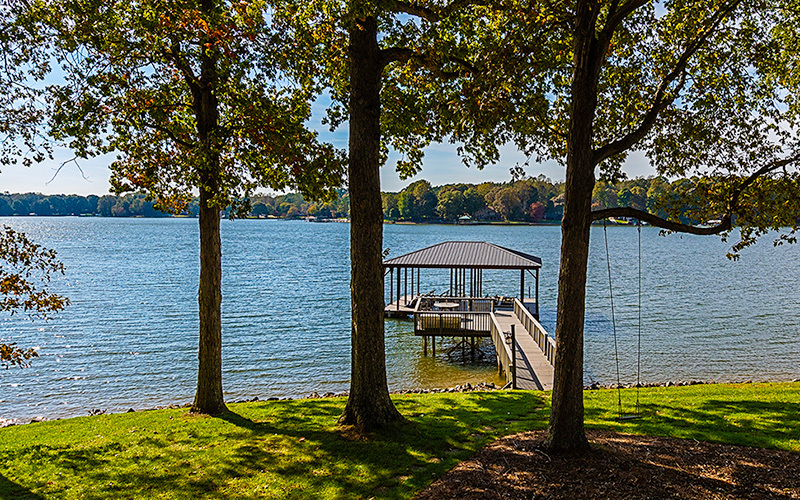 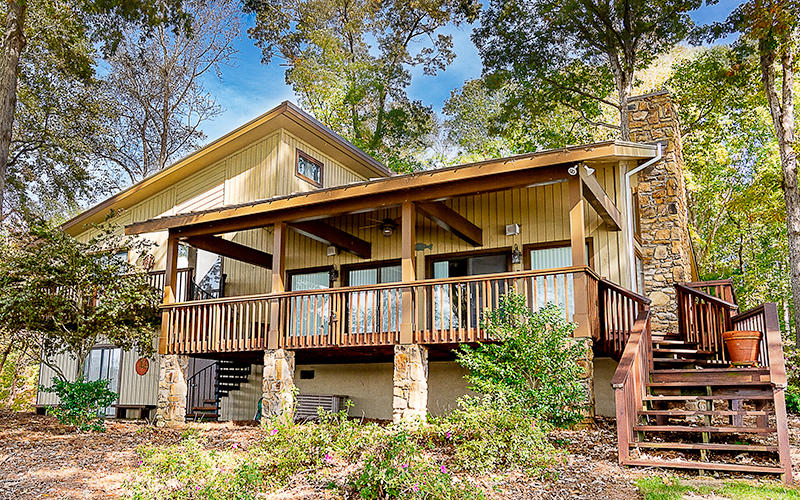 All 4 bedrooms have beautiful lake views and access to balconies. Carolina Cottage is located on a grassy, main channel lot that offers magnificent sunset views from almost every room and a large covered porch that's the perfect place to enjoy the sunset over a fun dinner. 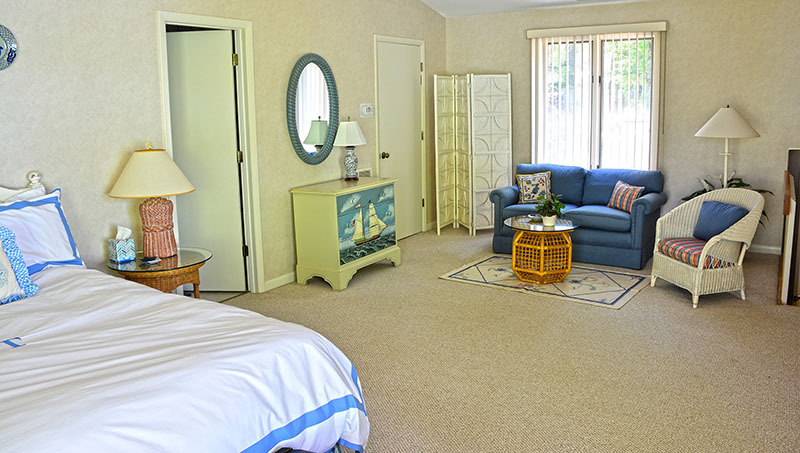 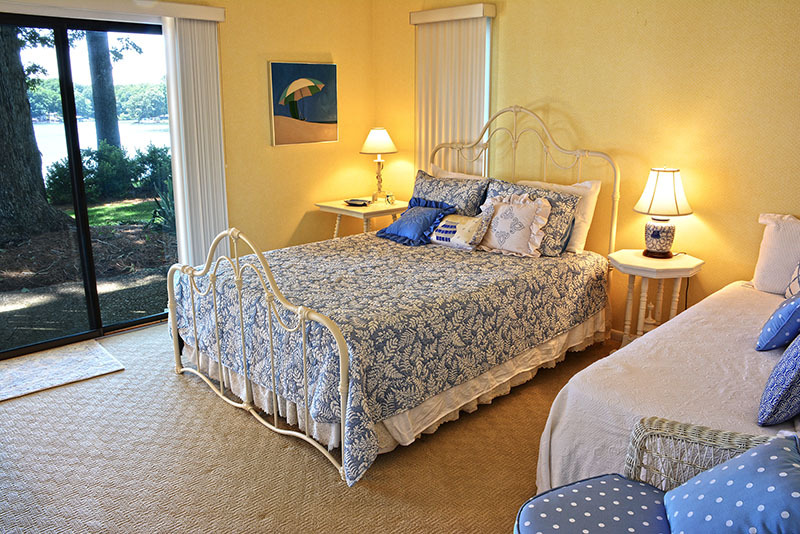 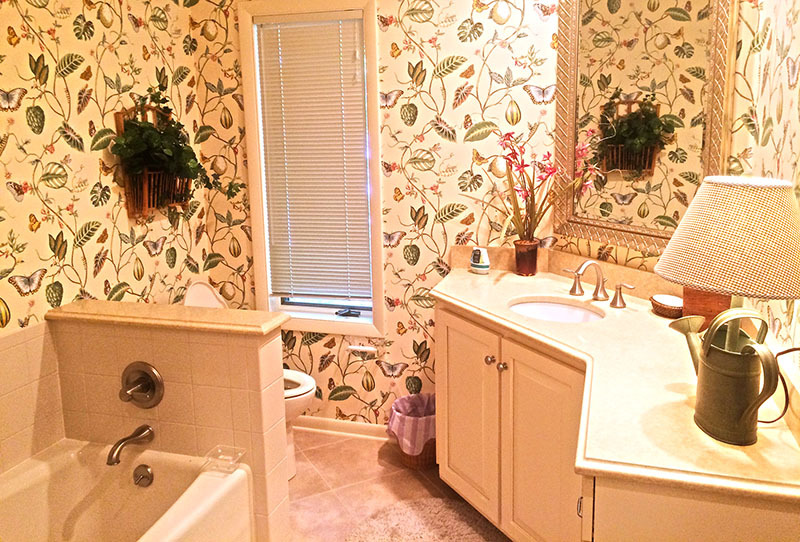 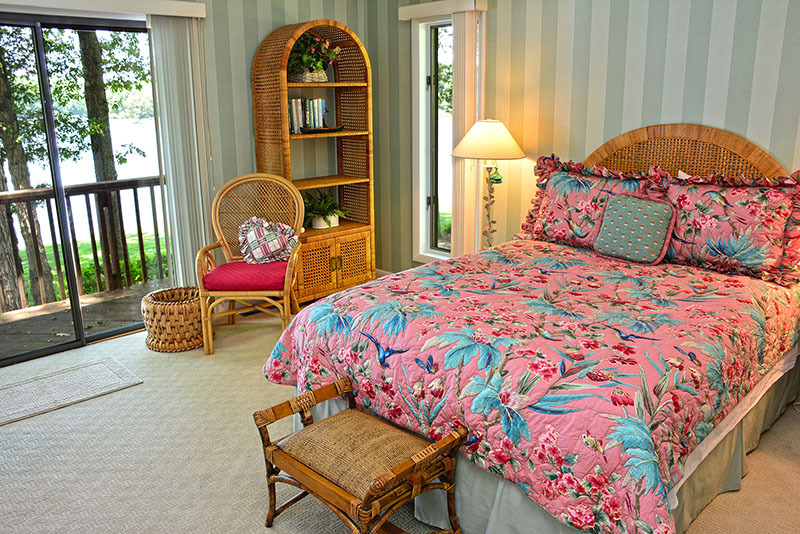 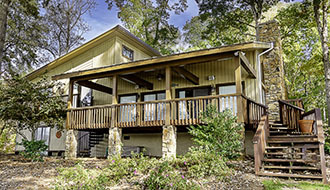 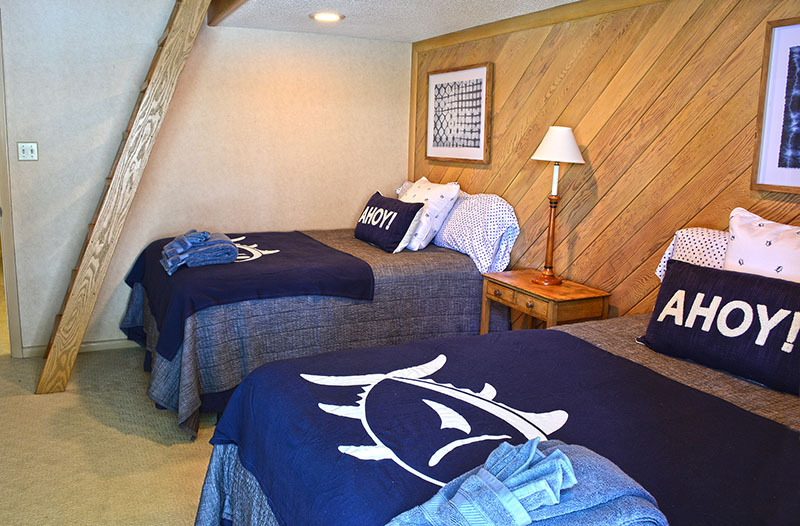 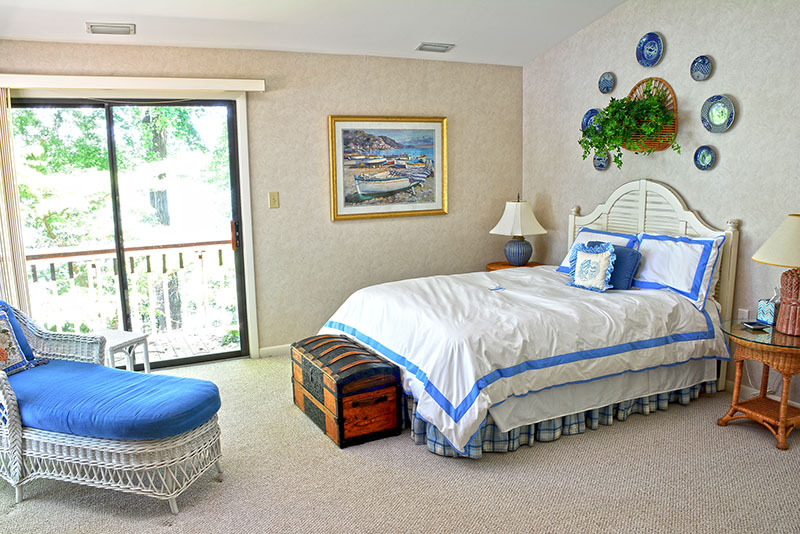 Carolina Cottage is designed to create memorable vacations!